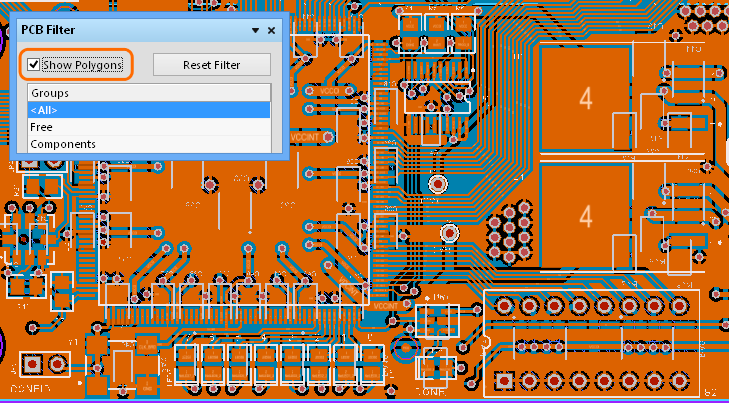 To display the PCB Filter panel, click the Filter button in the PCB group under the View tab (View | PCB | ), or use the F12 keyboard shortcut. Panels can be configured to be floating in the editor space or docked to sides of the screen. 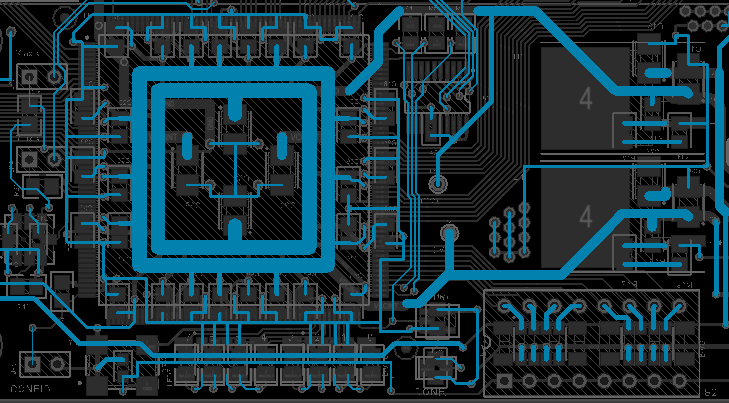 If the PCB Filter panel is currently in the group of docked Workspace panels on the left, use the PCB Filter tab located at the bottom of the panels to bring it to the front. 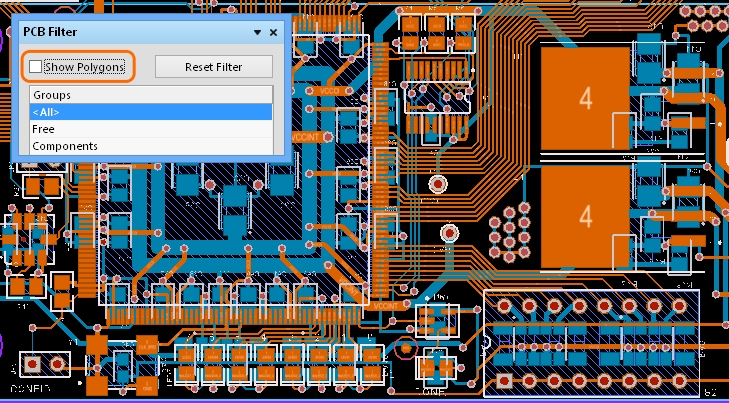 The PCB Filter panel is composed of four list areas, or regions, which collectively define the scope of the filtering: Groups, Objects, Layers and Highlighted Objects. The fourth panel region – Highlighted Objects, at the bottom of the panel – presents all objects passing the filtering defined in the regions above. Clicking an entry in this region will zoom and center (where possible) that object. 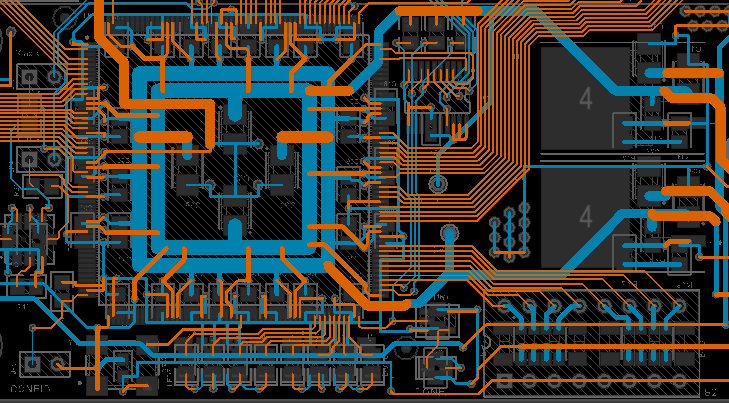 Both Schematic and PCB documents have Primitive objects and Group objects. Group objects (such as a component) incorporate one or more primitive objects (pads, tracks. text etc). Primitive objects are either 'free' in nature, or 'owned' by a group object. Note that selecting Free in any list section will highlight only those objects that are not part of a group object. The selection in the panel's Groups list will highlight all group objects, which includes each object's constituent primitive objects. All group objects are filtered, unless modified by the settings in the Objects and/or Layers filter lists. 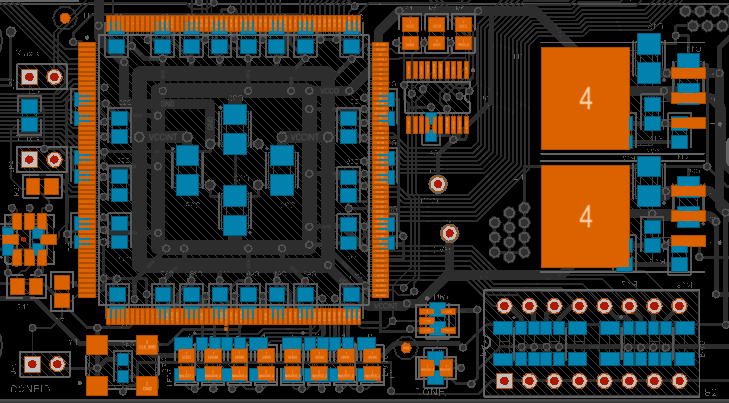 A board view with the Groups selection set to Components. The other filter lists (Objects, Layers) are set to All. The same board as above view with the Groups selection set to Nets. The other filter lists (Objects, Layers) are set to All. 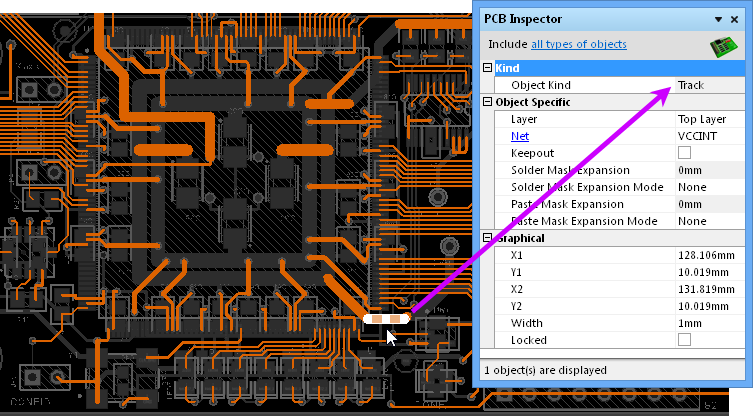 The selection in the panel's Object list will filter the board view to show primitive design objects. All objects will be highlighted, unless modified by the settings in the Group and/or Layer filter lists. The example board shown with Groups set to Components and Objects set to Pads. Layers is set to All. The example board shown with Groups set to Nets and Objects set to Tracks. Layers is set to All. 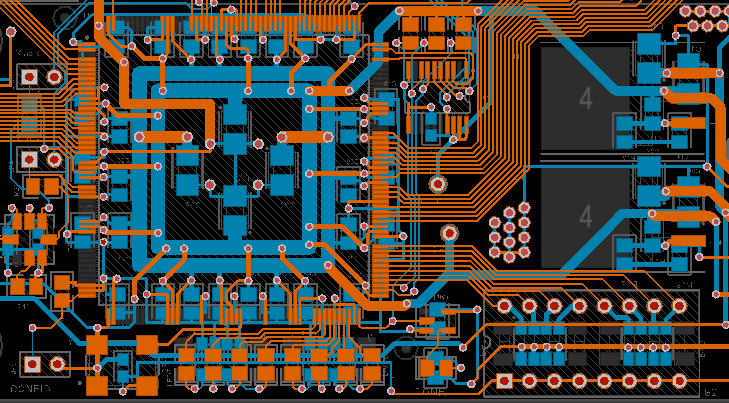 The selection in the panel's Layers list will filter the board view to show objects on the nominated physical design layer (Signal, Mask and Silkscreen layers). All valid Layers objects will be highlighted, unless modified by the settings in the Group and/or Objects filter lists. 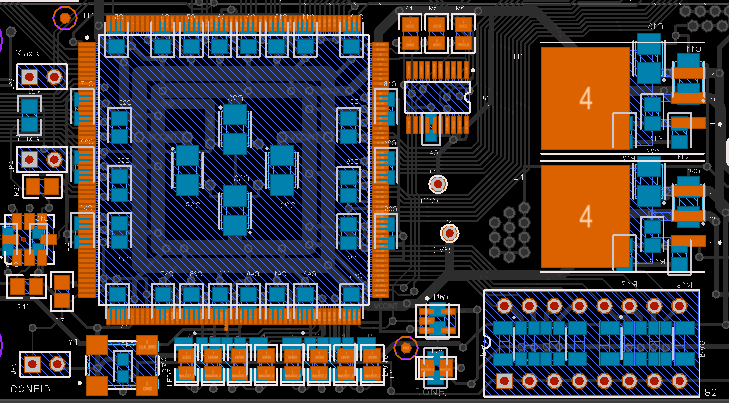 The example board shown with Groups set to Components, Objects set to Pads and Layers is set to Top Layer. 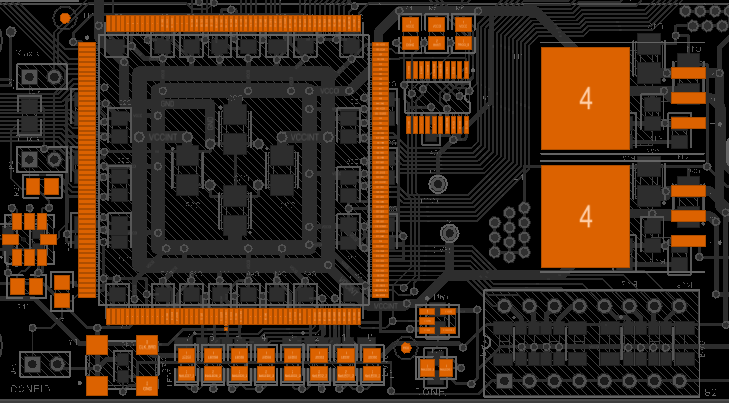 The example board shown with Groups set to Nets, Objects set to Tracks and Layers is set to Bottom Layer. Clear the currently applied filter with the panel's button or the View | Highlight & Edit Mask | button, or by selecting All (no filter) in the panel's three list sections.